The case has been registered after Ashish Khetan allegedly equated his party's youth manifesto with Sikh holy book Guru Granth Sahib. 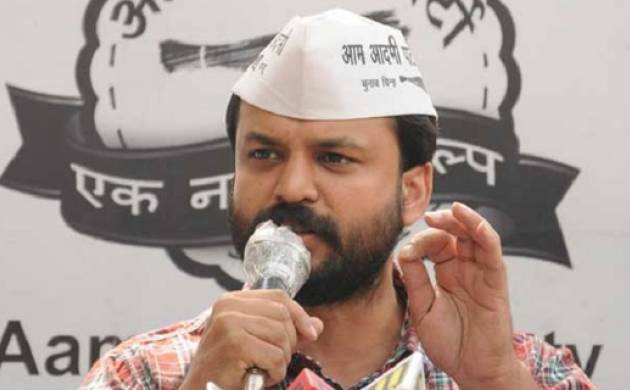 Aam Aadmi Party spokesperson Ashish Khetan has been booked by Amritsar Police for allegedly hurting religious sentiments. After facing criticism, he had apologised saying he had no intention to "undermine any section, community or any individual". The case has been registered under section 295-A (hurting religious sentiments) of Indian Penal Code (IPC) at the local civil lines police station. Earlier, Punjab Deputy Chief Minister Sukhbir Singh Badal attacked AAP for using the image of the Golden Temple on the cover page of its manifesto with the party's election symbol of broom superimposed on it, saying it amounted to "desecration" of the holy book and sought an apology from AAP Convenor Arvind Kejriwal.